China Galvanized Tree Pool Cover, Painted Tree Pool Cover, Stainless Tree Pool Cover Manufacturer and Supplier. Product categories of Tree Pool Cover, we are specialized manufacturers from China, Galvanized Tree Pool Cover, Painted Tree Pool Cover suppliers/factory, wholesale high-quality products of Stainless Tree Pool Cover R & D and manufacturing, we have the perfect after-sales service and technical support. Look forward to your cooperation! Tree Pool Cover, also known as tree protection board, tree fence, etc., Its main role is to suppress the dust, prevent the destruction of human factors on the roots and to protect the appearance of the city's appearance. It has a wide variety of types, including fiberglass grille type, wrought iron type, mold custom type, galvanized type, and steel grille type. 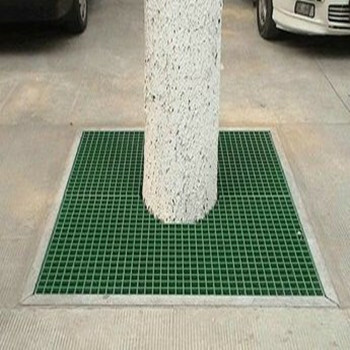 Tree pool cover belongs to the plat Steel Grating which can be made to various kinds. The following types of products can be produced in our factory: Steel grate board tree guard, steel grill tree guard board, grille board tree guard board, steel lattice board guard tree board, steel grating board tree pool cover plate, steel grille Tree pool cover, grate plate tree pool cover, steel grating tree pool cover, steel grating plate tree fence, steel grille tree fence, grating plate tree fence, steel grating tree fence, galvanized Steel Grid tree pool rake, galvanized steel grille tree pool rake, galvanized grille panel tree pool rake, Galvanized Steel Grating tree pool rake, galvanized steel grid plate tree guard, galvanized steel grille tree care Boards, galvanized grille panels, galvanized steel panels, galvanized steel grilles, tree pool cover, galvanized steel grille tree cover, galvanized grille tree pool cover , galvanized steel grating tree pool cover, galvanized steel grating board tree fence, galvanized steel grating tree fence, galvanized grating board tree fence, galvanized steel grating tree fence, galvanized tree pool rake, Galvanized tree guard, galvanized tree cover, galvanized tree fence, and more. The current industry's most advanced machine pressure welding process (pressure welding type).